The Financial Services Authority (FSA) is to examine the rules governing websites that compare insurance products. At issue is whether the act of ranking insurance products online by price constitutes giving financial advice. Some comparison websites are allowed by the financial watchdog to arrange insurance, but not to give advice. The move comes after the British Insurance Brokers' Association (Biba) asked the FSA to tighten such rules. Traditional insurance brokers must meet strict regulations to give advice. But Biba argued the current rules covering so-called "electronic introduction" were designed before the development of comparison websites, and therefore did not provide appropriate protection for consumers. According to research commissioned by Biba, many price comparison websites use assumptions when generating quotes, something a third of consumers did not realise. It warned this could lead consumers to buy unsuitable products. After interviewing a small sample of consumers, it said more than half of those questioned who had used price comparison websites felt the differences between insurance policies were not adequately explained. Only 6% felt sufficient policy details were given. "There are still too many people logging on and making a decision solely based on the price of a policy, rather than the protections it offers them and potentially buying an inappropriate policy," said Biba chief executive Eric Galbraith. "The current FSA rules were written prior to the growth in aggregator sites. "I believe the regulator should now look again at developing more appropriate regulations, to ensure that consumers are being afforded suitable protections," he added. 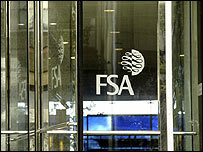 A spokesman for the FSA said it had looked at the question of comparison websites in the past. "We considered the issues raised by Biba in 2005, and decided at that time that no action was needed." "However, in light of the new research, we will undertake a further review of the issues. "After that has been done we will consider whether we should take any regulatory action," he added. The insurance comparison site Confused.com welcomed Biba's call for greater scrutiny. The firm said it had already voluntarily invited the FSA to regulate its activities, but wanted to see a complete overhaul of the rules covering the sector. "We support Biba's views that the FSA rules are not appropriate," said managing director Debra Williams. "It is imperative that customers are provided with a fair and transparent service. "Unlike other comparison sites, Confused.com diffuses some of the opaqueness by providing quotes, not estimates and, whenever possible, like-for-like comparisons," she added. But rival comparison site Gocompare.com rejected Biba's complaints. "Had Biba's comments come two years ago, I might have agreed with them," said managing director Hayley Parsons. "However, the new players in the comparison market have led the way in terms of providing far more product information to help consumers make the most informed choice." Richard Mason, director of comparison site Moneysupermarket.com, which is already fully authorised by the FSA, said he would welcome new guidance from the regulator, but accused Biba of exaggerating the scale of the problem. "It's the death-rattle of a dying sector," he said. "Romantically, we like to think of a broker as an expert sitting in a dusty office and meticulously considering the entire range of insurance products on the market, but that's not the case. "The reality is that price comparison sites do a better job, offering access to a much wider range of providers, including companies that don't sell through brokers, and letting consumers examine the detailed DNA of products before they buy," he added. The inquiry will cover general insurance policies, including car and home insurance. Following its investigation, the FSA could take a range of actions including issuing revised guidance, enhanced supervision, or making changes to regulation.